If you encountered errors using the “Update My Version” link to update your Github repository, please follow these troubleshooting steps. Alternate instructions: to merge rather than delete and refork, please use these instructions. 8. 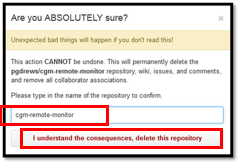 Go to https://github.com/nightscout and then scroll down to locate and click on the original ‘cgm-remote-monitor’. 10. The fork will take a few moments to complete.